New Bern City Hall is located at 300 Pollock Street, New Bern, NC 28563; phone: 252-636-4000. 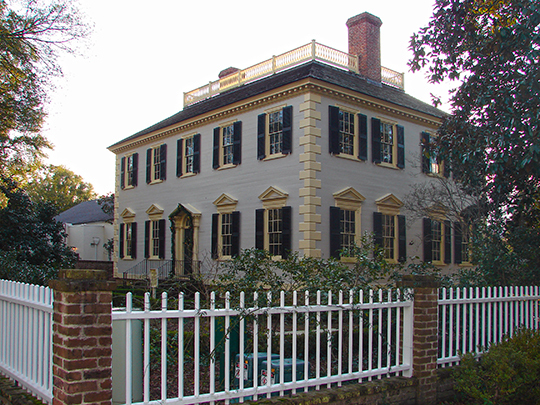 Photo: John Wright Stanly House, ca. 1779, 307 George Street, New Bern, NC. Listed on the National Register of Historic Places in 1970. Photographed by User:Smallbones (own work), 2008, [cc-by-1.0 (creativecommons.org/publicdomain/zero/1.0/deed.en)], via Wikimedia Commons, accessed November, 2012.